Welsh pop punk band is stoked for their Southeast Asia Tour and so should you because you’re going to have the time of your life with good vibes and most importantly, they have plenty of awesome performances up in their sleeves of course. The quintet was formed in 2012 when lead singer Ben Barlow met former lead guitarist Lloyd Roberts. 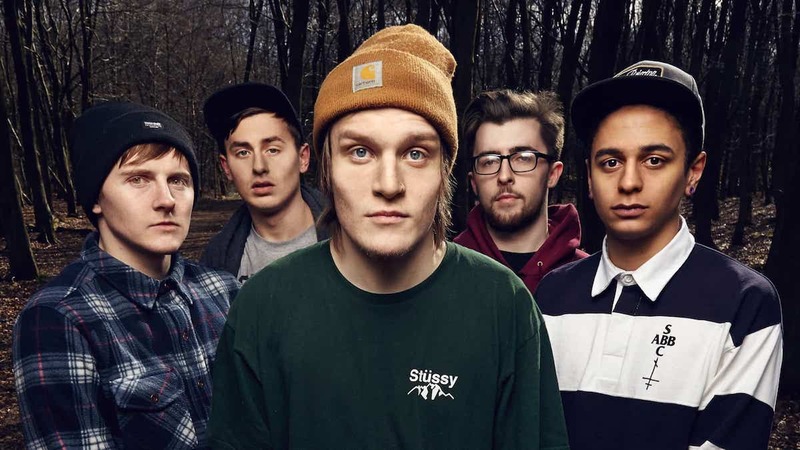 Neck Deep became a full time project with the addition of rhythm guitarist Matt West, drummer Dani Washington, and bassist Fil Thorpe-Evans in 2014. Ever since the successful reception of their debut album, Wishful Thinking in 2014, the band has been busy, hustling in the studio working on more records. Their second album, Life’s Not Out to Get You has been the most successful album following the involvement of Jeremy McKinnon from A Day to Remember providing guest vocals in one of their songs and as their co-producer. The album was nominated for Album of the Year at the 2016 Alternative Press Music Awards and Best Album at the 2016 Kerrang! Awards. Their third song from the album, Can’t Kick Up the Roots received critical reception and was nominated for Independent Track of the Year at the Association of Independent Music Awards. Their current album The Peace and the Panic released last August with hits like Happy Judgment Day, Where Do We Go When We Go, Motion Sickness and In Bloom landed at #4 on the US Billboard 200 chart and #1 on the UK Independent Albums chart! In conjunction with the promotion of The Peace and the Panic album, the band will be returning to Malaysia for a second round after their 2016 tour leg previously. The chart topping band will once again be brought to you by Rockiss, a local based clothing company. Besides Malaysia, they will also be stopping at Singapore and Philippines again while hitting Thailand and Indonesia for the first time. They were also the recipients of the “Best British Newcomer” at the 2014 Kerrang! Awards, Winners of the “Best Live Band” at the AP Music Awards in 2016. UK’s Neck Deep even opened for pop-punk kings, Blink-182 at their sold out Brixton Academy show in London! The event will be happening on March 9, 2018 (Friday) at The Bee @ Publika, Kuala Lumpur with local acts to raise the curtain for the show like Patriots, One Buck Short, I Lost The Plot and Trophy Knives. Tickets can still be purchased at Eventbrite.